Preparing in advance and having a fully trained staff and returned book intake procedure will help identify and destroy bed bugs before a full infestation can take place. This in itself will save libraries from costly remediation techniques and save priceless and rare books that cannot be replaced.Of course this picture is that of a serious infestation but used as a visual to help people realize the damage bed bugs can do to books and newspapers. We have suggestions on how to put in place a “proactive bed bug protocol” for libraries to help avoid this. First, and foremost, have your complete staff trained to recognize any and all signs of bed bugs and where to look for them. Detection at the earliest stages will be of the most importance and will help to eliminate them right away and avoid a serious problem in the future. 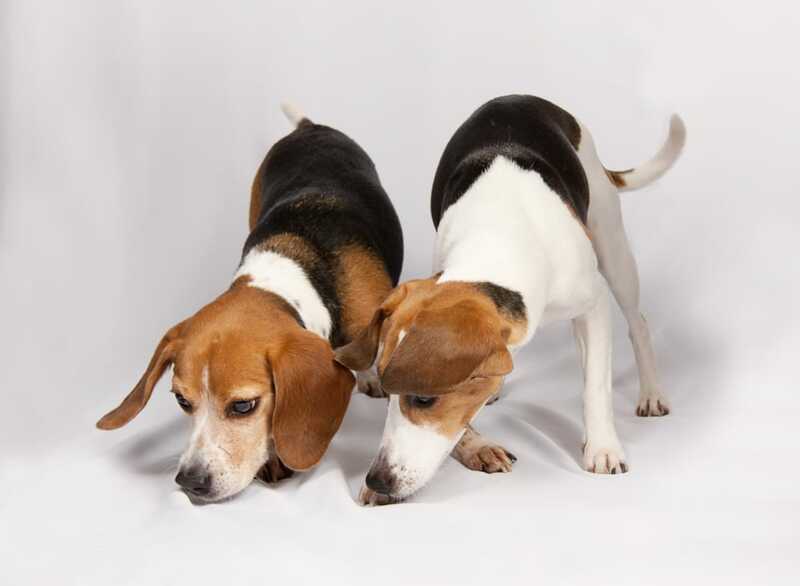 Dogs, with their keen sense of smell, are considered essential tools in detecting bed bug infestations in minute amounts. Call Mass Bedbug Busters at 508-713-8267 for a certified pro-active canine bed bug inspection. Many infested books have been found in the book drop. Before returning books back to the shelves, examine every book carefully. For those books in question – DO NOT PLACE THEM BACK ON THE SHELVES. These books can be placed into a PackTite unit. Prepare a Bed Bug file or data base. Be sure to document each and any book in question or you find has bed bugs. This will save you a headache in the future. Document, the name of the book and author, the serial number or stock number, the date, the person who signed it out and returned it, how long it was gone from stock and the return condition. Remember, bed bug eggs are very small and sticky and are not easy to see. Having a magnifying glass handy for inspection will help to find hitchhikers. As books, books on tape, CD’s and CD-ROM’s are checked out, have your trained staff take one more careful and thorough inspection of the item. This will help avoid the possibility of someone blaming you for taking home an infested item. Back Packs, Coats, Purses, Etc. Since bed bugs are hitchhikers, as our epidemic grows there is a great concern in people bringing in bed bugs from outside sources and infesting the furniture. Libraries are a public place where many public awareness seminars are held. Consider holding a “Bed Bug Awareness” monthly seminar to share with your community. Making your clients aware of the possibilities will help to cut down on people bringing bed bugs into your establishment and help them recognize and be aware of bed bugs in other establishments, their homes or travel.  Have posters throughout the library and printed articles available for the public to read and inserts to place into each book that goes out. If we all pull together, work towards a common cause, and educate the public, collectively we can help make a difference! Our community library is a proud collection of memories in which remain precious materials that provide opportunities for professional development, for training, education, entertainment and betterment for all who enter. With the recent resurgence of bed bugs throughout the world, we have implemented a bed bug awareness program. (#bedbugawareness) Each of our materials is inspected for bed bugs before you check them out. With respect, we ask you to be aware of where you place these materials at all times so that the safe return is free and clear of bed bugs or their eggs. To find out more about bed bugs, what they are and what you can do to avoid them, please attend our Bed Bugs and You, information seminar at our community center monthly. Some people purchase books, CD’s, CD-ROM’s and educational materials from the internet. In all cases it is wise to thoroughly examine anything purchased online before bringing it into your home or work. NOTE: Recently bed bugs have been found in Red Box Rental movie cases. Use caution!